As a kid, you’re taught that certain things just don’t mix. Cats and dogs. Pineapple and pizza. Water and electricity. Well, as far as that last one goes, no one bothered to tell the folks that make their living welding underwater. If you’re not familiar with underwater welding, the whole idea can seem pretty outrageous. In brief, there are two kinds of underwater welding: dry and wet. Dry welding is technically performed underwater, but within the confines of a specially constructed hyperbaric enclosure. 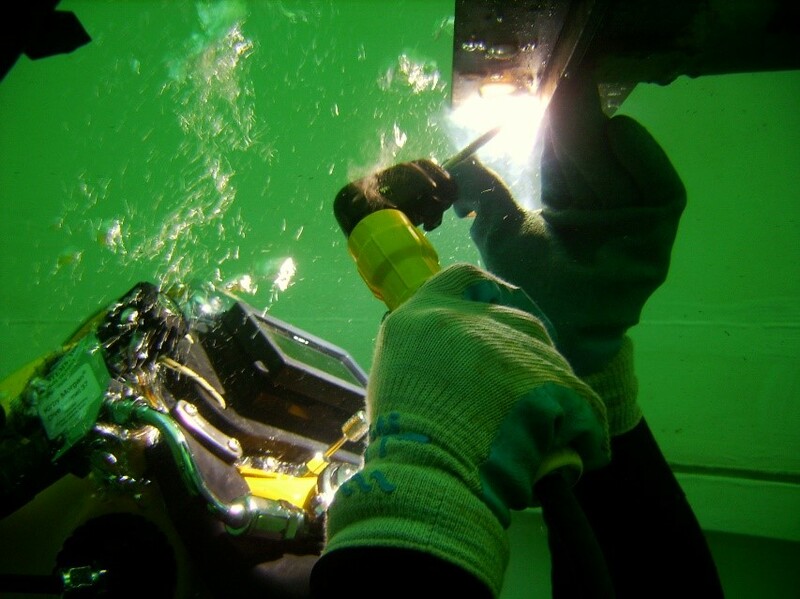 As you might imagine, wet welding is performed with the diver and their welding gear fully submerged in water! This brings us to Mr. Uwe Aschemeier, Senior Welding Engineer at Subsea Global Solutions. 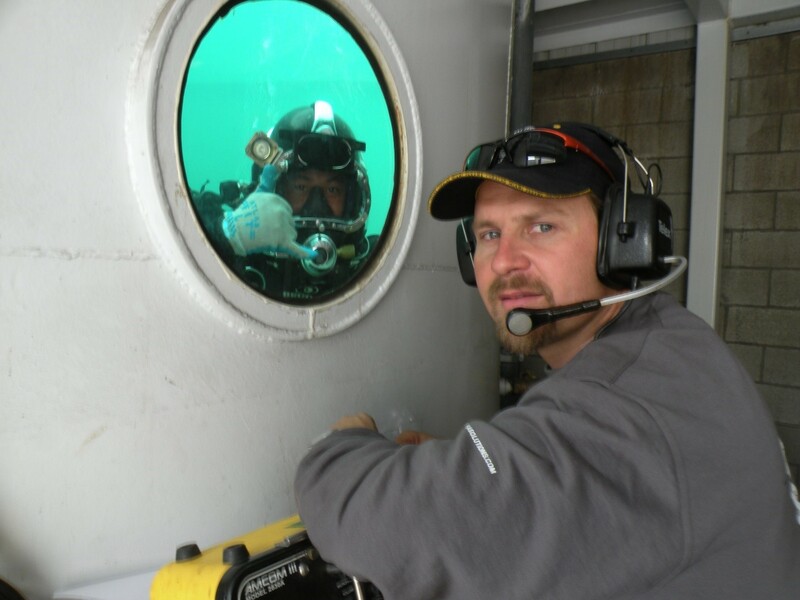 He managed to parlay his passions for diving and welding into a distinguished underwater welding career, and is widely considered one of the world’s foremost experts in the field. Amazingly, we were able to yank him onto dry land long enough to ask him some questions and pick his brain for a bit. During our chat, Mr. Aschemeier discussed his serendipitous path to underwater welding, explained the similarities between the ocean and outer space, and shared a few words of wisdom for those interested in taking the plunge and becoming an underwater welder. Enjoy! 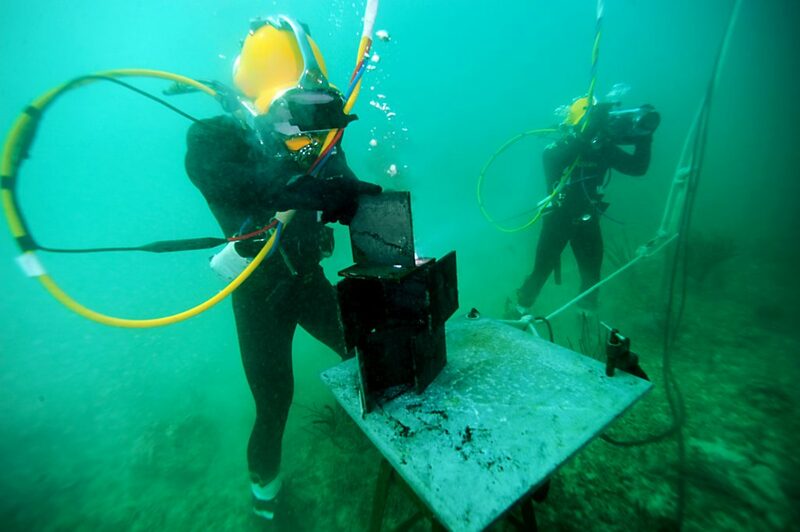 Considering the dangers of the profession, why did you pursue a career in underwater welding? What are some of the more challenging aspects of welding underwater? UA: It’s different. You are in an environment that is not made for human beings. You are wearing your life support equipment; everything is bulkier. If you want to compare it to something, it’s the closest a human being will be to space. Gaining access to the area, as well as fighting with currents or visibility. Marine life can also be a challenge. One time my umbilical [cord] burst and I was out of air from one second to another. That was pretty scary. But there’s a lot of good from doing this. One thing is that it takes me around the world. I’ve been to beautiful places like Brazil, the Caribbean, Norway, and Australia. Of all the projects you’ve worked on over the years, which one stands out for you the most? UA: There are a couple that stand out. The project we are currently working on in Brazil is quite challenging. It’s off the coast of Rio, the divers are fighting environmental challenges like strong currents. Out of 100 days, we may get 10 good dive days. But when we do get to dive, there is unbelievable visibility! Just clear water with dolphins and other marine life swimming by. What is the deepest you’ve had to dive, and what was that experience like? UA: We usually don’t dive too deep. Sometimes if a damaged vessel takes a lot of water we may dive up to 60 feet. Our Long Beach office does structural work, so they do dives to about 200 feet. My deepest dive for work was about 90 feet, installing the valves in a new collector well for drinking water. When you’re not in a diving suit, how do you like to spend your time? UA: I really think I was supposed to be a fish. I love being in the water and that’s where I am most of the time. I am an engineer, but I am also a commercial diver. Before I got so deep into my work, I was also a SCUBA instructor. I volunteered in Boone County, Kentucky as part of the water rescue team. I helped the police department get evidence out of the river and search for drowned victims. Aside from being in the water, I enjoy hiking the mountains. What types of work does an underwater welder do? UA: Underwater welding is only a small part of what commercial divers do! There is inspection work, like bridge inspections, inspecting pipelines that cross river. Working on power plants. Cleaning and mechanical work on ships, and the is dive work on oil and gas installations off shore. In general, commercial diving can be categorized as “in-shore”, “near-shore”, and “off-shore”. I like a little bit of everything and that’s what we do in our company. Tell us a little bit about Subsea Global Solutions and what you do there. UA: We are proud of the fact that we do a lot of underwater wet welding. With our underwater wet welds, we achieve comparable mechanical properties to those of top side welds. It’s a combination of the materials, the engineering behind it and the training and education of our welder divers. Our main office is in Miami. We have divers there as well as in Tampa, Houston, Long Beach, Seattle, Vancouver, St. Johns, Curacao, Trinidad, South Korea and a few other places. I oversee high-profile welding projects at these different sites, like maintenance work on ocean-going vessels like cruise ships and commercial vessels like container ships, tankers, bulk carriers and others. Together with my friend and colleague Jarrad Schmerl, who works out of our Long Beach office, we also qualify new procedures, keep the certificates for the welder divers current, and train new welder divers in one of our training tanks in Long Beach and Miami. What’s the training process at your company like? UA: We have two large training tanks, one in Long Beach (6 and half meters deep and 6 meters in diameter) with three weld stations, and one of similar size in Miami. Through our partner, we also have access to a training tank in Brazil. This gives [our divers] a chance to practice without leaving the facility. When our divers are with our company for about a year, we take them through a 10-day course developed by [UK-based] HydroWeld. They learn to weld fillet welds in the vertical position. After the course, we send them back in the field, and they gain experience in that position for 1-2 years. After 1-2 years, Jarrad and I teach them to weld fillet welds in the overhead position. After that, when they gain more experience, they move on to a 10 to 14-day course for groove welds. What is the future of underwater welding? UA: There is a lot of research going on. Right now, 99% of underwater welding is done with a stick electrode. However, it looks like underwater flux cored arc welding [FCAW] is the future. I would say it is becoming a serious competitor to stick welding. I know that a German company is very close to getting their equipment on the market. When you compare top side to under water, underwater welding is 4 to 5 times slower. FCAW would increase the speed of welding underwater. What is the biggest piece of advice you would give to up-and-coming welders seeking a career in underwater welding? UA: I would give them a few pieces of advice. First, make sure that diving is for you. Take a SCUBA class. Try to breathe as a sports diver before you spend a lot of money on a diving school. Also, when we hire people, we always look for multiple skills. To be a diver is great, but we look for people who have other skills in addition to their diving skills. We like to see welding skills, but experience as a diesel mechanic, carpenter, or electrician can also be very valuable. Another thing to keep in mind is that you do travel a lot, at least at SGS, so it can be hard on family life if you are planning on having one. Lastly, don’t do something because of the money. Do it because you enjoy doing it. Money is important, there’s no doubt about it, but find a job that you really want to do. It’s a rewarding career. You see a lot and you do something that not everybody does. But you have to like it. This is probably true for all welding. I’ve been a welding engineer since 1990, and in the industry since the late 70’s, and welding has always been good to me. We are thrilled that we got an opportunity to speak with Mr. Aschemeier, and hope that you enjoyed it as much as we did. 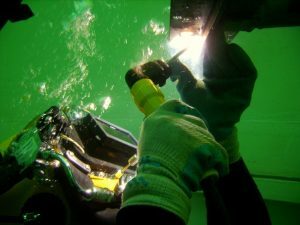 If you want to know more about underwater welding, we encourage you to check out this blog that covers some of the basics in more detail. Also, feel free to peruse the rest of our blogs if you want to check out the other conversations we’ve had with remarkable figures in our industry. And lastly, if you interested in learning more about SMAW, FCAW, or any of the other welding process, AWS Learning is a great place to start!